They are nature's very own Death Star beams - ultra-powerful jets of energy that shoot out from the vicinity of black holes like deadly rays from the Star Wars super-weapon. Now a team of scientists led by the University of Southampton has moved a step closer to understanding these mysterious cosmic phenomena - known as relativistic jets - by measuring how quickly they 'switch on' and start shining brightly once they are launched. How these jets form is still a puzzle. One theory suggests that they develop within the 'accretion disc' - the matter sucked into the orbit of a growing black hole. 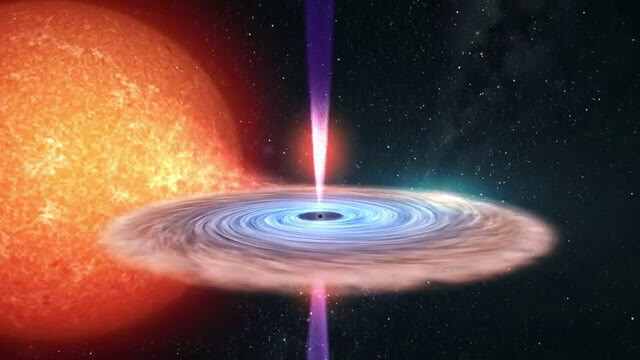 Extreme gravity within the disc twists and stretches magnetic fields, squeezing hot, magnetised disc material called plasma until it erupts in the form of oppositely directed magnetic pillars along the black hole's rotational axis. In a new study published today in Nature Astronomy, an international team of scientists led by Dr Poshak Gandhi show how they used precise multi-wavelength observations of a binary system called V404 Cygni - consisting of a star and a black hole closely orbiting each other, with the black hole feeding off matter from the star that falls through the disc - to throw light on this hotly debated phenomenon. V404 Cygni is located about 7,800 light years away in the constellation of Cygnus, and weighs as much as about nine of our Suns put together. 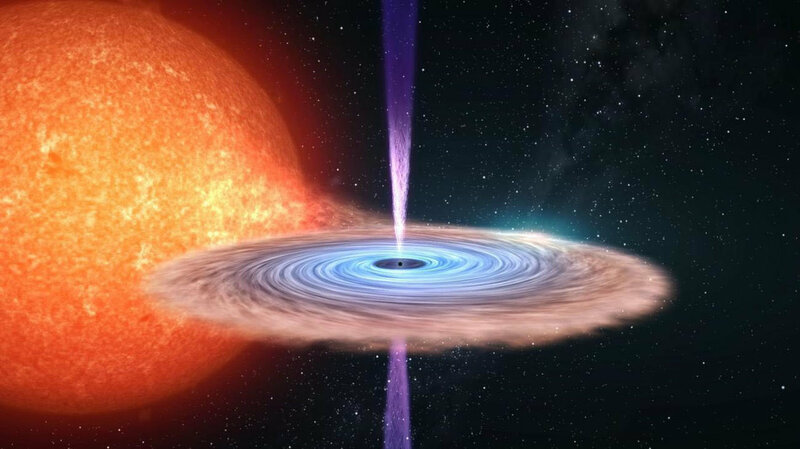 Dr Gandhi and his collaborators captured the data in June 2015, when V404 Cygni was observed radiating one of the brightest 'outbursts' of light from a black hole ever seen - bright enough to be visible to small telescopes used by amateur astronomers, and energetic enough to tear apart an Earth-like planet if properly focused.